Need some assistance or inspiration? We offer our Lake Tahoe concierge services to all of our incoming and current guests. Activities - Ski Packages, Fishing, Water Skiing, Parasailing and Much More! Groceries delivered through Raley's Ecart -- be sure to choose Emerald Bay store for pick up (fees apply - $75 delivery min/10% upcharge). The Lake Tahoe Basin is surrounded by hundreds of miles of National Forest and Wilderness. It’s a Mecca for the sportsman, athlete, hunter, fisherman, naturalist, historian, geologist, artist and pleasure-seeking environmentalists. Lake Tahoe is the largest lake at its altitude, twenty-three miles long by thirteen broad, 39 trillion gallons, 1,645 feet deep, 71 miles of shoreline and 6,225 feet above sea level with but one exception in the world. Its claim to clarity is unmatched and exquisitely mirrors the purity of the sky. 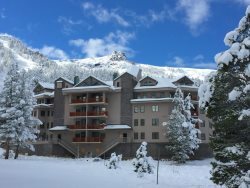 We are fortunate to live in this beautiful mountain community, and our Lake Tahoe concierge services want to help you discover the best we offer. If you desire for us to help plan your action activities from snowmobiling, whitewater rafting to parasailing, let us know and we’ll set you up. If it’s a recommendation for the best hiking or the best sushi in town, our concierge services will know who to call and where to go!